Kolkwitzia amabilis is a large deciduous shrub with arching stems covered in late spring and early summer with clusters of small, funnel-shaped pink flowers. A reliable and easy to grow plant, it will grow in sun or partial shade and copes with most soil conditions. Height 150-200cm. Supplied in a 3 litre pot. 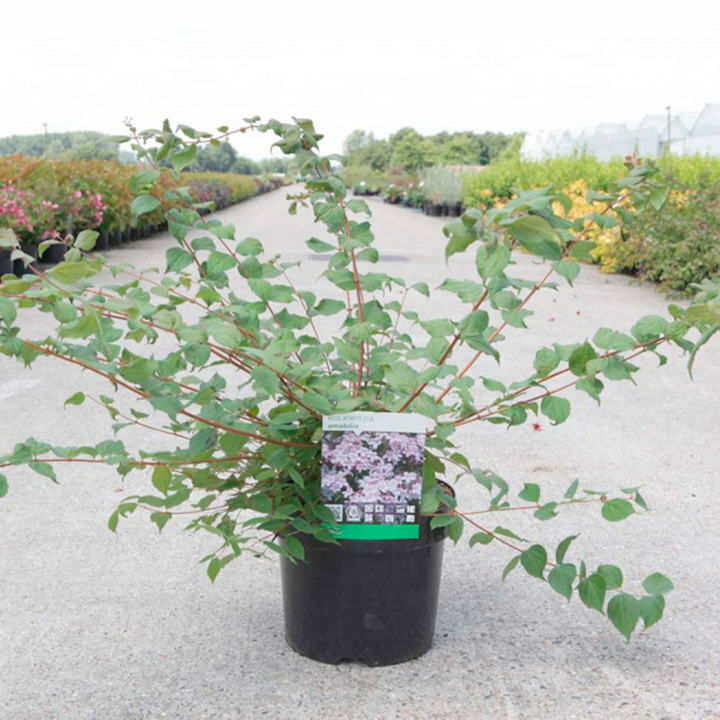 Kolkwitzia amabilis is a large deciduous shrub with arching stems covered in late spring and early summer with clusters of small, funnel-shaped pink flowers. A reliable and easy to grow plant, it will grow in sun or partial shade and copes with most soil conditions. Height 150-200cm. Supplied in a 3 litre pot or 7.5-10 litre pot.